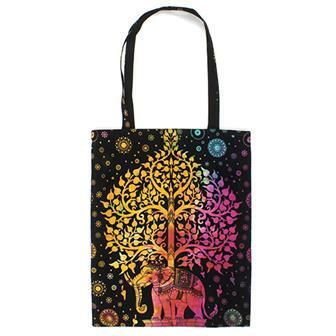 Larger Fair Trade bags, ideal for everyday use. 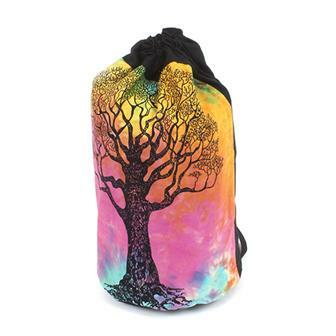 Our wide range includes our deliciously different backpacks, brilliantly bright shoulder bags and super cool yoga bags. We also stock a few examples of truly unique bags for example our Thai Hmong hill tribe handbags and Guatemalan Huipil duffle bags. Large pure cotton shoulder bag from India printed with this fantastic peacock design, this type of printed material is traditionally used on bedspreads. This bag has long straps, a large zipped main compartment as well as two small zipped pockets one inside and one on the outside. 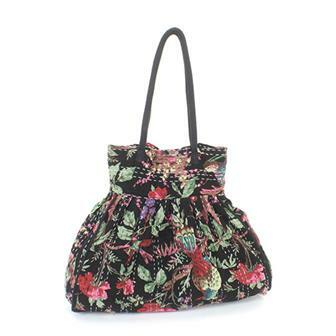 Extra large bag in a selection of floral fabrics embellished with kantha stitch work, this bag would be equally good as a beach bag, for use in extended shopping trips or stuffing the knitting in. Made with sturdy handles and a internal zipped compartment. 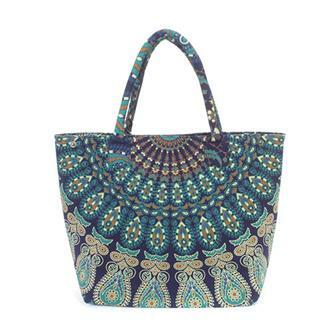 Beautiful and sturdy large shopper bag made with thick lined cotton in our eye catching peacock print traditionally used to make bedspreads. This big bag has strong handles, handy internal organiser pockets and a zipped compartment in addition it has a magnetic popper and fasteners to change the shape and size on the main compartment opening. Cotton shopping bag made from bold and beautiful bedspread material from India, this bag makes an ideal replacement for those pesky plastics. Available in a selection of brilliant patterns, this generous bag has sturdy handle and a small zipped internal compartment so you don't bury your keys and wallet with shopping. 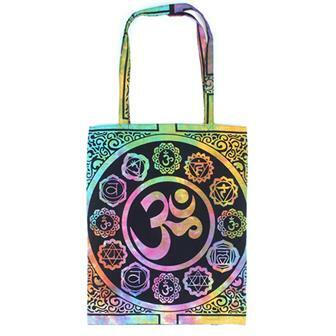 Cotton shopping bag made with rainbow dyed materia block printed with a Om symbol surrounded by chakra symbols using the same process used to make Indian bedspreads, makes an ideal replacement for those pesky plastics. This generous bag has sturdy handle and a small zipped internal compartment so you don't bury your keys and wallet with shopping. 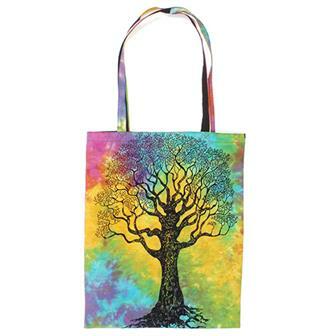 Cotton shopping bag made with rainbow dyed material block printed with a tree design using the same process used to make Indian bedspreads, makes an ideal replacement for those pesky plastics. This generous bag has sturdy handle and a small zipped internal compartment so you don't bury your keys and wallet with shopping. 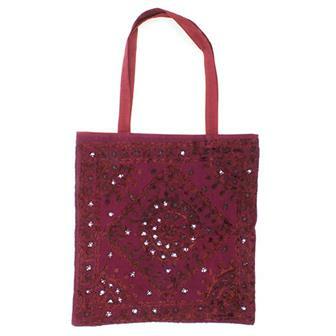 Cotton shopping bags made with richly embroidered designs filled with small pieces of mirror work. These generous shoppers have sturdy handles and make an ideal replacement for those pesky plastic bags! 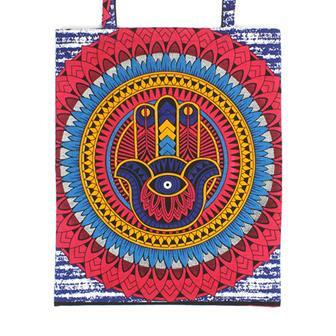 These boldly coloured cotton shopping bags are hand made in India. 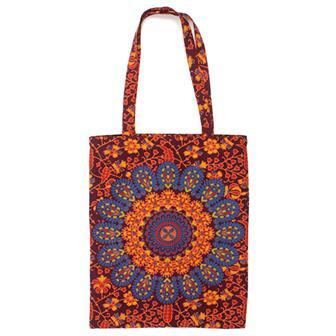 Printed with a bedazzling, 60's inspired Hand of Fatima design, these bags have a sturdy strap and are great for shopping trips or beach adventures! 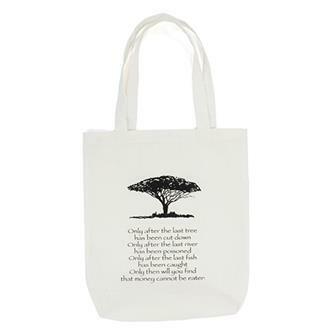 Simple but elegant heavy cotton bag with great for those impromptu shopping trips. Printed with a tree design and Cree Indian saying. These funky plastic shopping bags come in two styles. 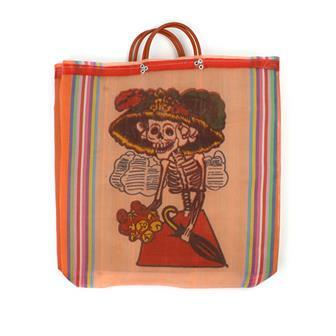 Pick between images of the iconic Calavera Catrina or the Virgin of Guadalupe. Add some chic to the shops! 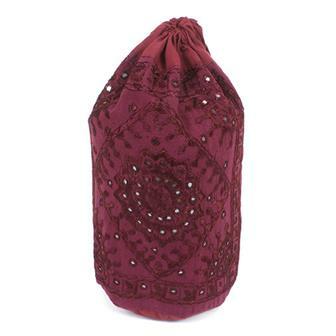 Cotton duffel bag made from bold and beautiful material, embroidered with tiny pieces of mirror. This bag is ideal as a gym bag; easy to stuff and close with sturdy straps linked to the drawstring closure. 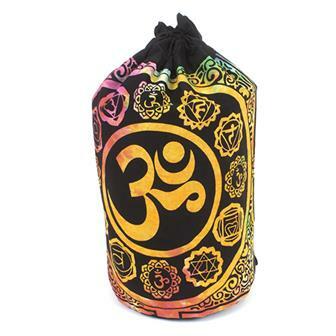 Long barrel bag perfect for storing and transporting yoga mats. Made with traditional block printed Indian bedspread material from Jaipur and lined with sturdy backing material with long strap and chunky zip. Made from the recycled offcuts of traditional Nepalese sari making, these patchwork yoga bags are a wonderful and colourful way of transporting your mat to and from class. 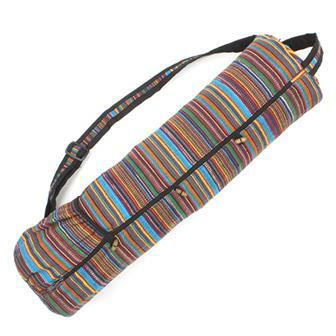 Made from tough wearing traditional Nepalese gheri cotton, these stripy yoga bags are a wonderful and colourful way of transporting your mat to and from class. 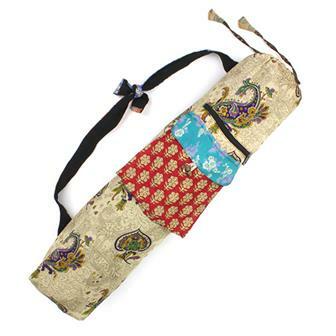 These beautifully decorated long bags are designed to carry a yoga mat. 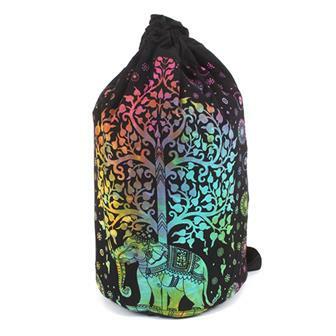 They are perfect for any yoga or meditation pilgrimage; from a globetrotting adventure to a local gym visit. Available in three colours, each decorated with a bold lotus symbol.